"Blue Hawaii, Arbutus Records and many of their Montreal counter- parts all began with the same breath in early 2010. 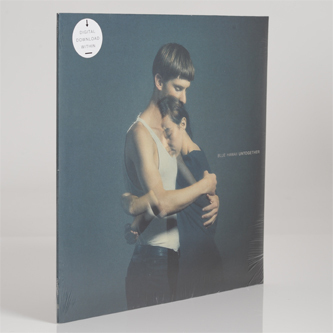 To date Blue Hawaii has released an 8 song EP: in May of that year, Blooming Summer (Arbutus Records 2010) was recorded following the pair's travels in Central America. It frames a time of warmth and novelty, featuring dense female harmonies, tape saturated synths, guitars and drum machines. Eventually Ra– returned to her role in BRAIDS, touring constantly, while Ag– moved to Europe, treading deeper into dance music, electronics, and production. The two decided to make Untogether in 2012; they began recording on New Years Day in Vancouver and intermittently worked on the project until summer broke in Montreal. The music followed their winter in Canada, it became colder, more introspective. 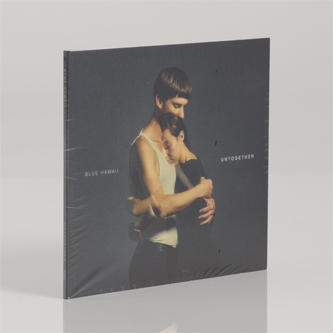 It again captured a time and place, but instead of a dense saturation of love and excitement, this record reflects the vast world of self-awareness and delicacy. It takes for its subject the question of belonging, despite overwhelming space. Musically, the production on the album is more spacious and physically it was recorded in separation. Despite this, it belongs together in its final form. It demonstrates successful creative process in a pair who composed apart, and in doing so it is a meditation on communication: how technology and art influence modern human relationships. It contains the vast space of two years passing, including watching their Montreal scene change as some launched into international success and others turned deeper inwards. Here, the album finds the conflict of separation/belonging to one's self and community. The duo notice that throughout the changing social and personal landscape which is one's twenties, these divided notions and people somehow stay together. Even the name Blue Hawaii suggests a kind of melancholic, jaded paradise, but a paradise afterall. It is because - or perhaps in spite of - these disjointed intersections that the record is called Untogether."